Bali as a tourist destination has many variations of interesting places for you to visit. And it also offers a wide variety of local culture, art, and also music and dance performances. We spoil our guests with the opportunity to get a glimpse into the deeply rooted traditional Balinese culture, by offering an authentic Balinese Dance performance. 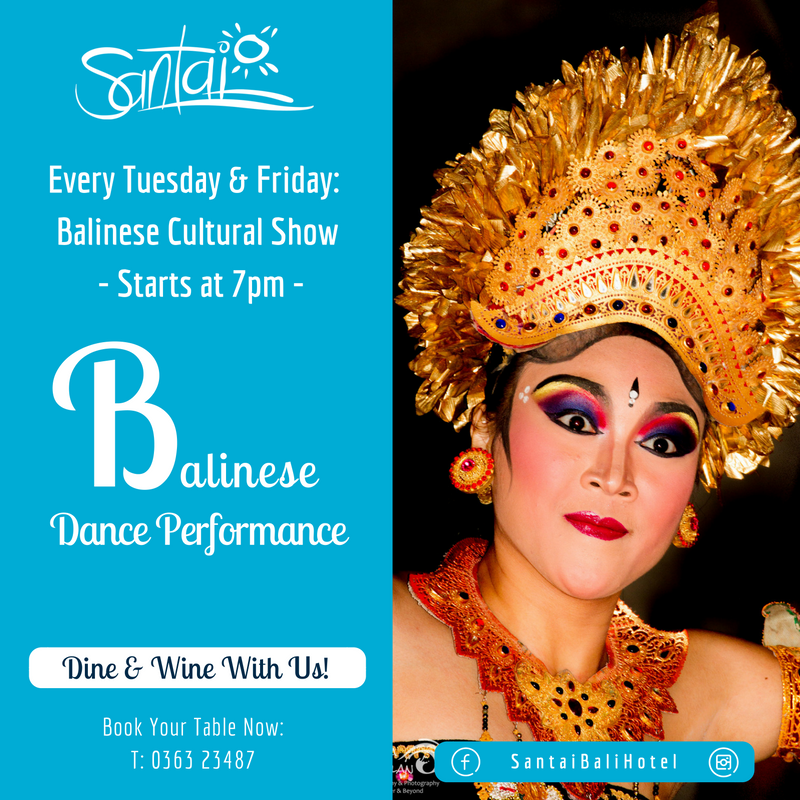 Balinese dance is a very ancient dance tradition that is part of the religious and artistic expression among the Balinese people. Balinese dance is dynamic, angular and intensely expressive; it's beautiful and unique, and is closely connected to religious rituals. Dances are often performed at ceremonies, typically as part of dramas, and most involve the Balinese version of the Hindu Ramayana epic. Traditional Balinese dance forms are passed on to girls and boys at a very young age, and training is often rigorous and disciplined. Dance is very connected to life in Bali and each village is likely to have some skilled dancers and teachers that they are proud of. There is a great richness of ritualistic dance forms and styles in Bali. The Legong dance which is what we propose here, is one of Bali's most refined and feminine forms, typically performed by young girls who use intricately choreographed movements, manipulating their bodies, fingers, eyes and faces to accompany music. As a traveler, you are likely to have the chance to see dances if you attend ceremonies. If not, here's your chance to join one of the performances put on for our guests here at Santai Hotel Bali. Goose bumps and wow moments guaranteed! Remember to bring your camera! This live performance is open to everyone: our Santai Hotel guests as well as outside guests and our local expat community. Want to celebrate with us? Our Staff will happily help you book your favorite table.